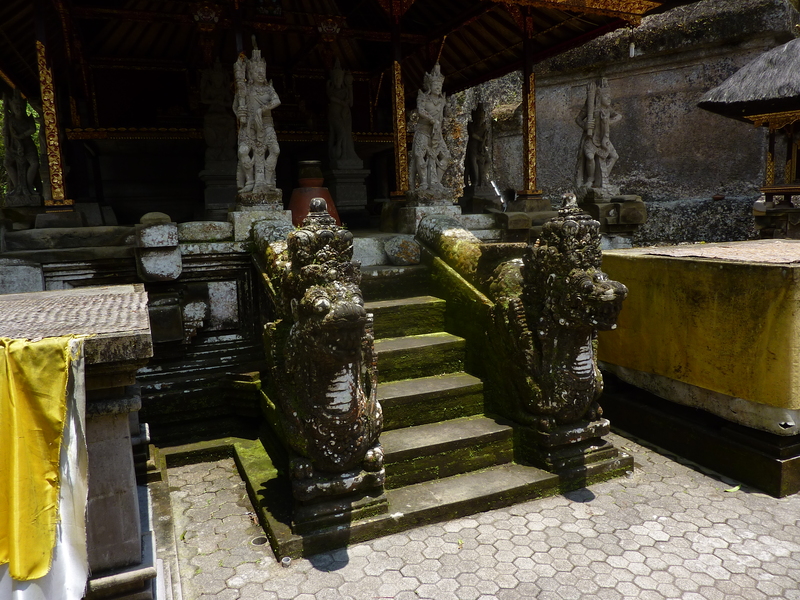 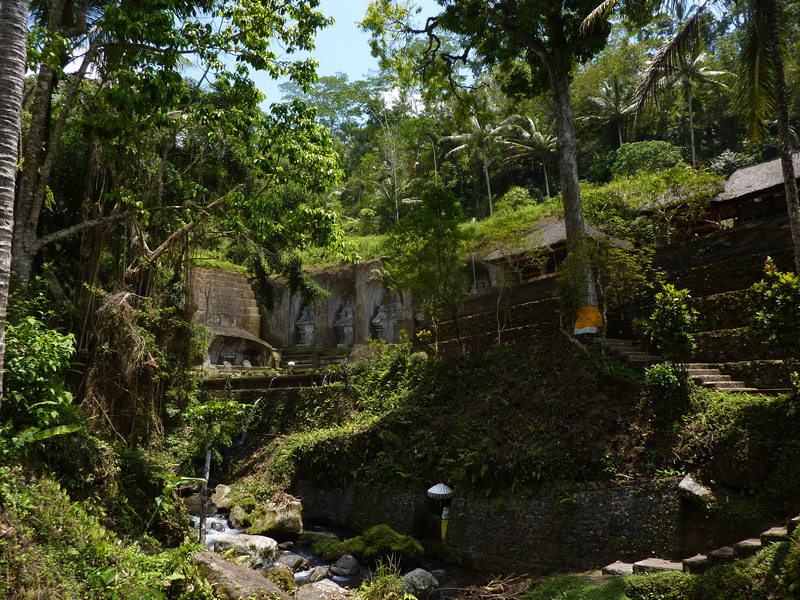 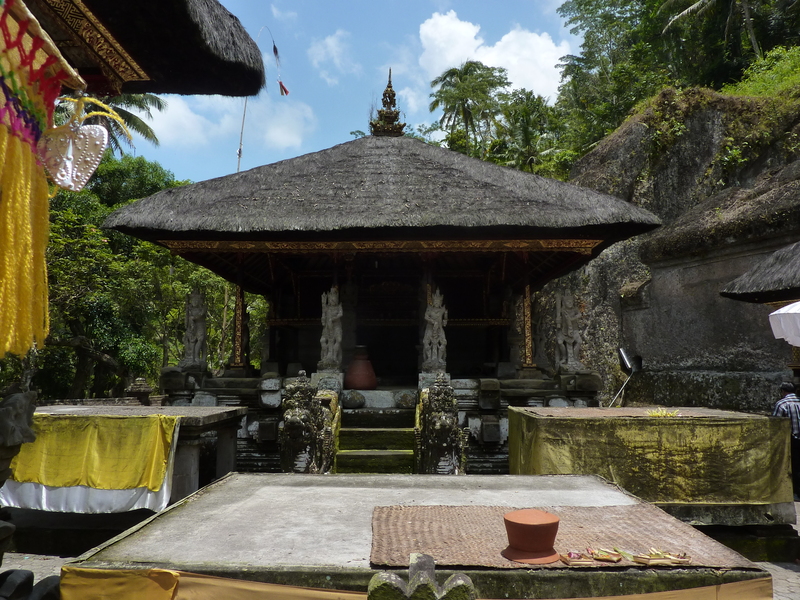 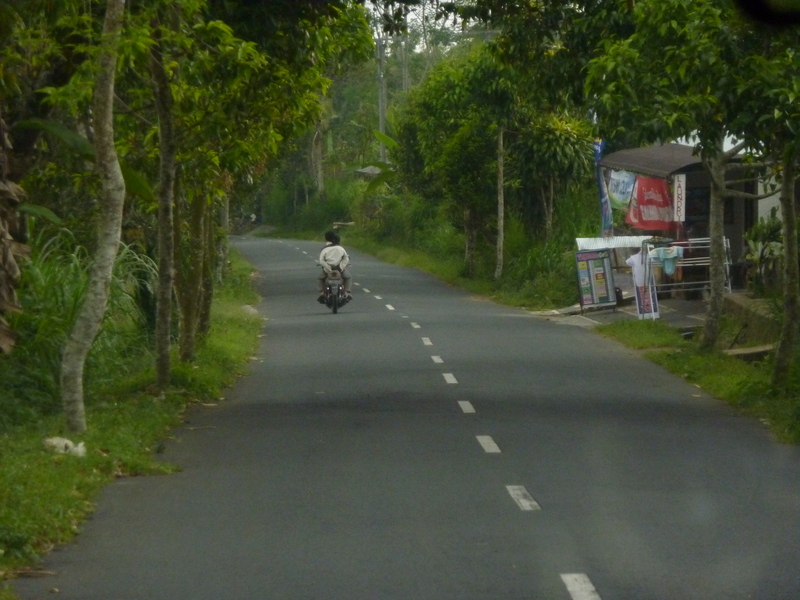 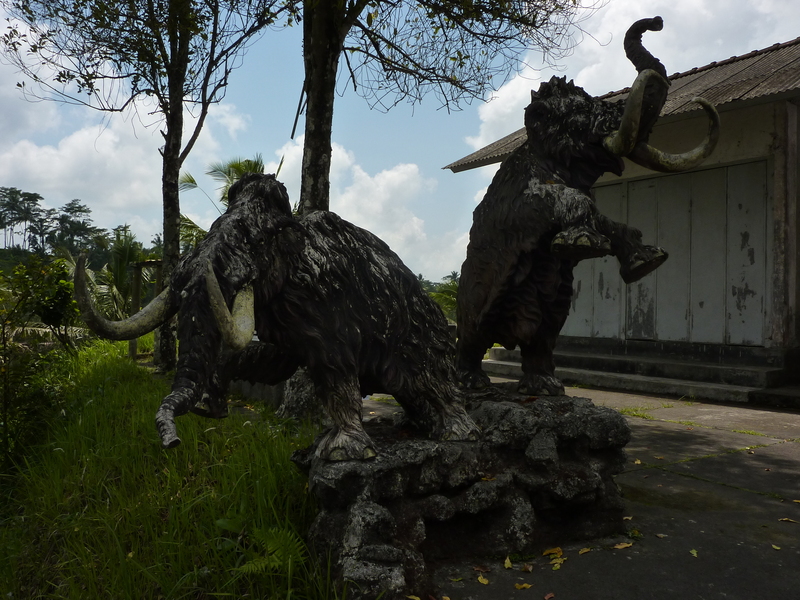 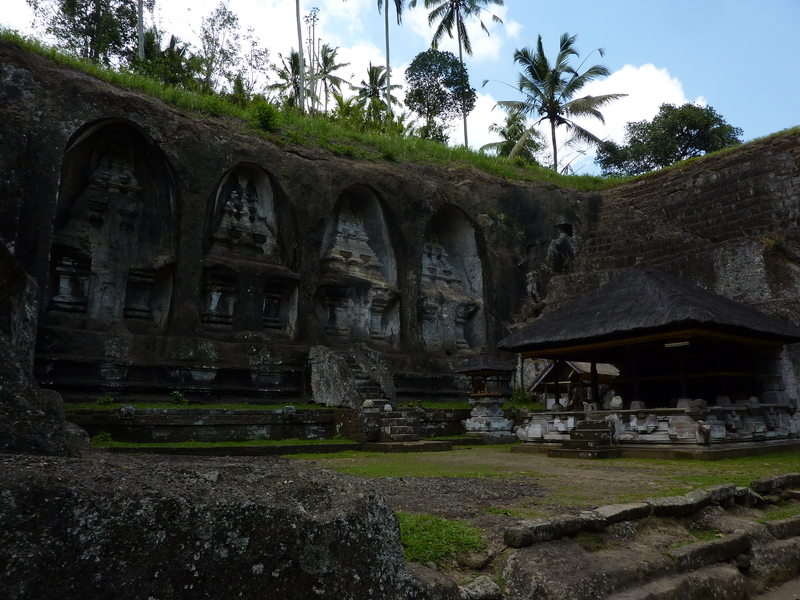 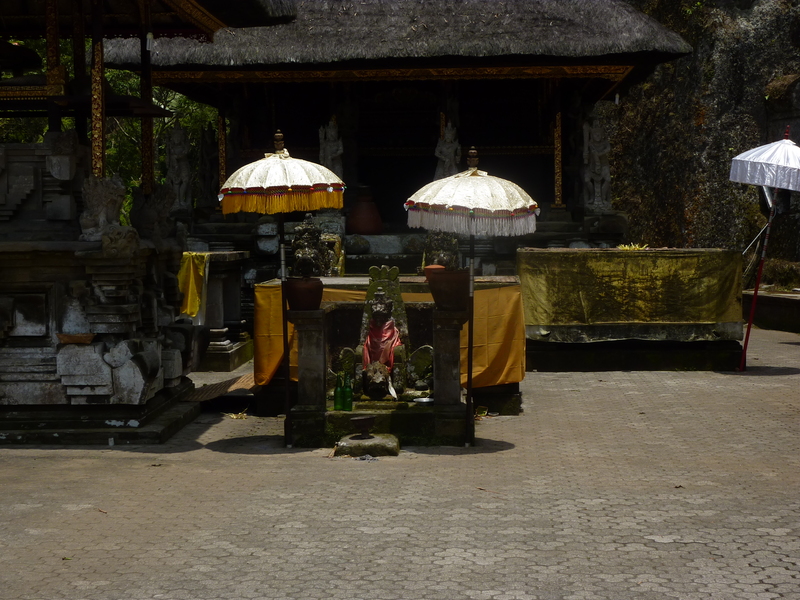 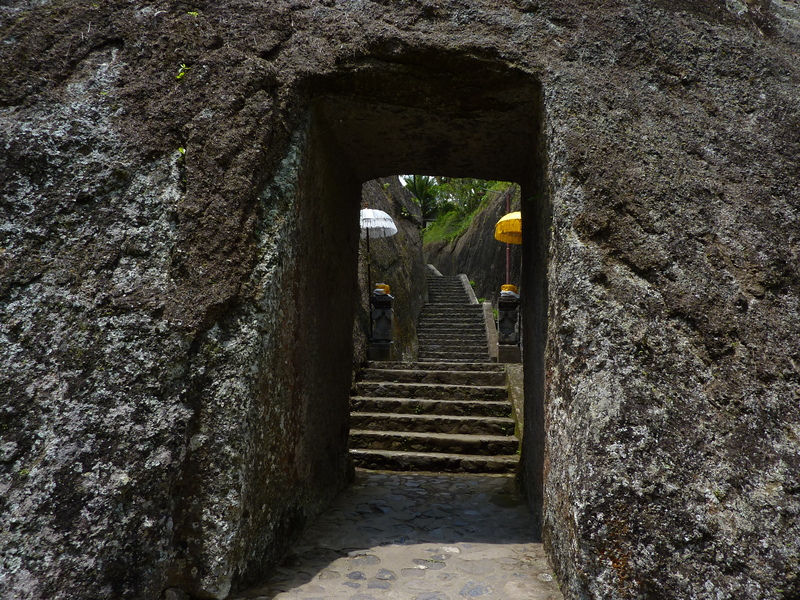 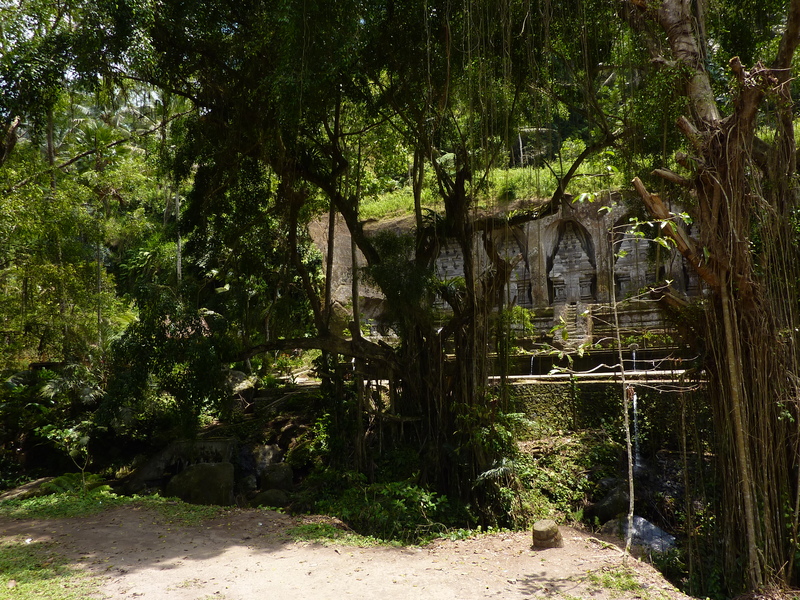 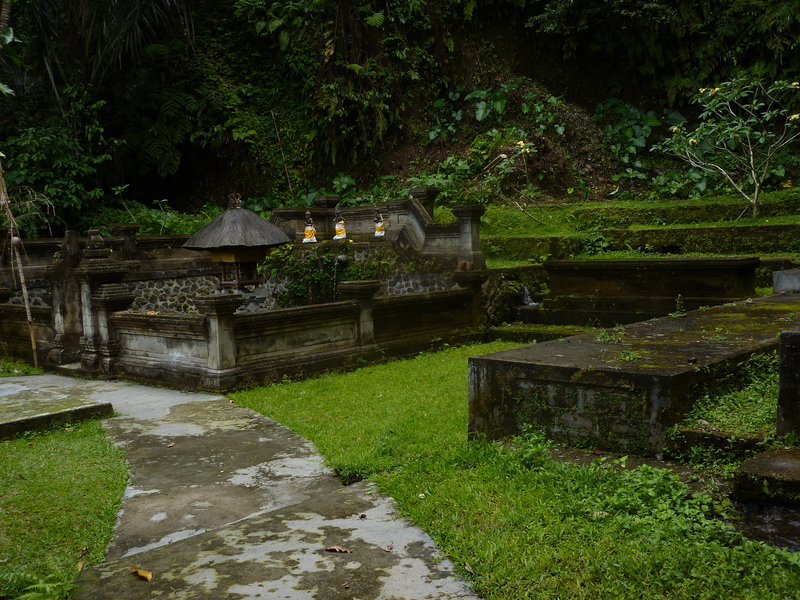 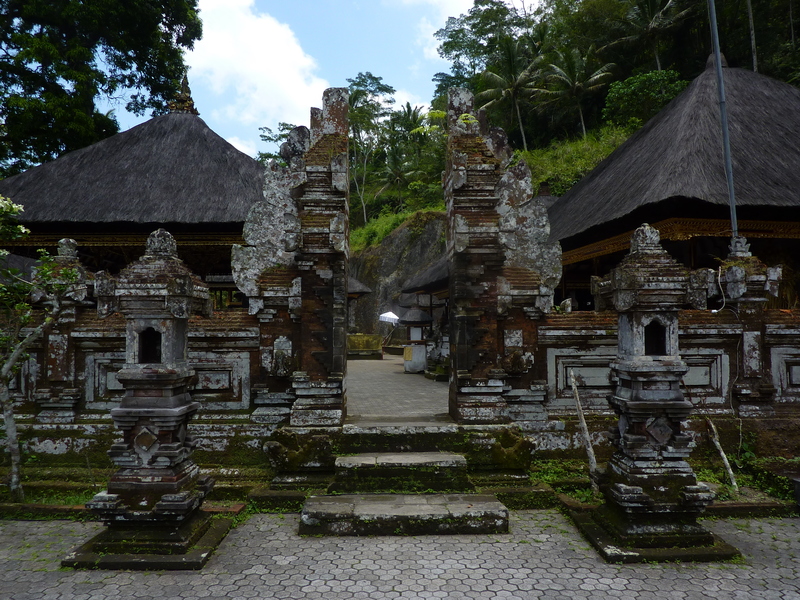 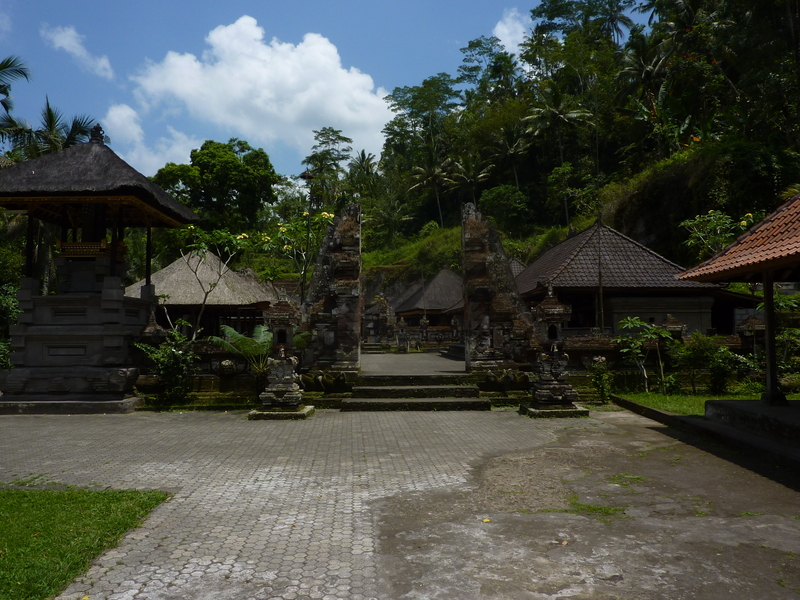 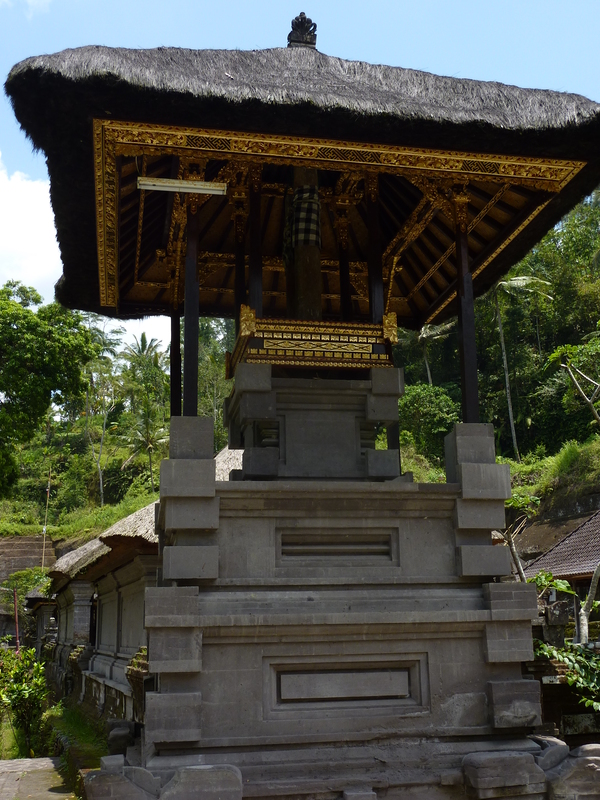 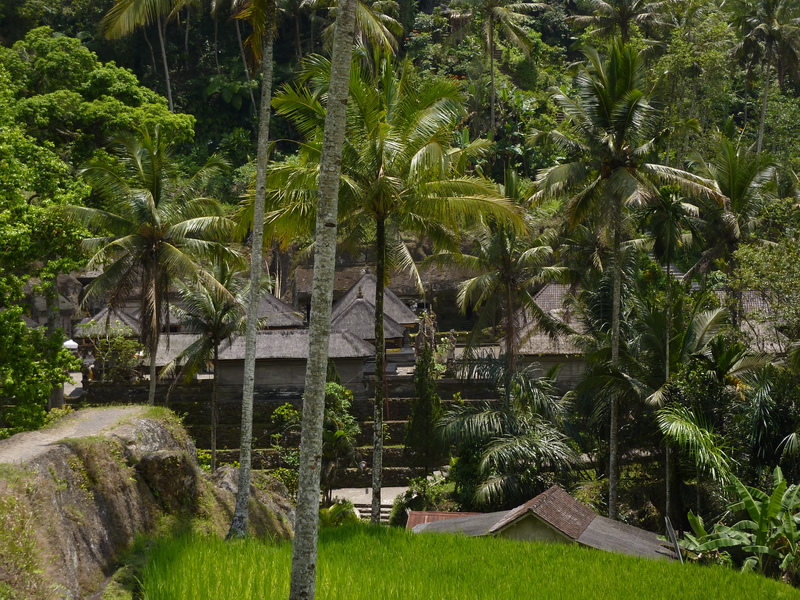 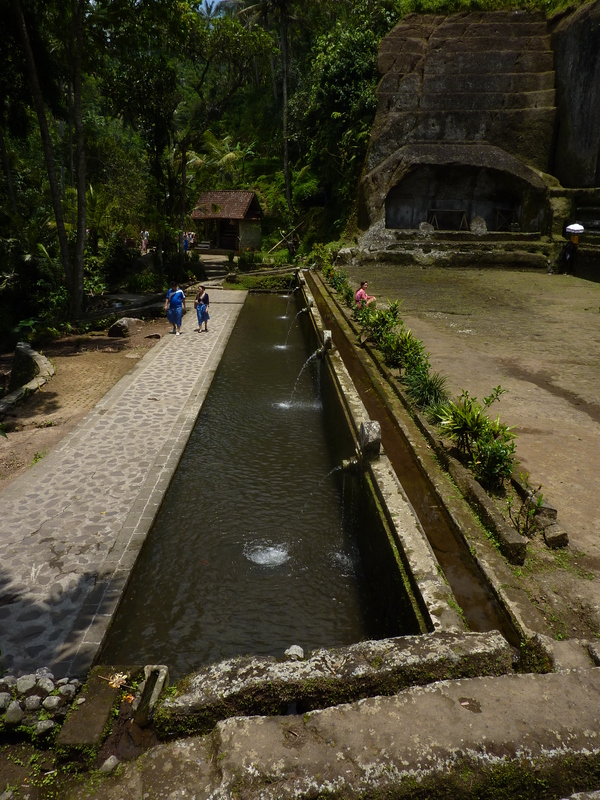 On this day, we visited the approximately 1,000 year old temple – Gunung Kawi. 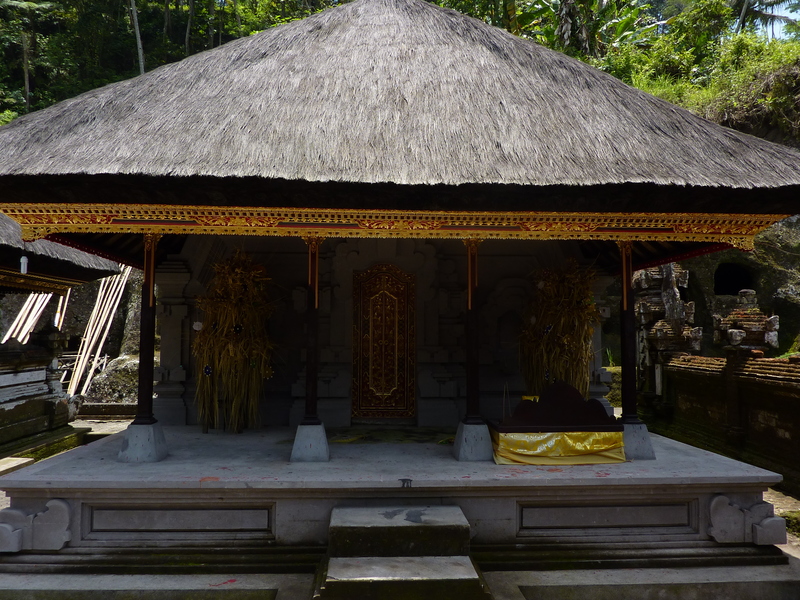 This historic Hindu temple was built into the side of a mountain and is full of rice fields/paddies and fulfilled constantly by streams. 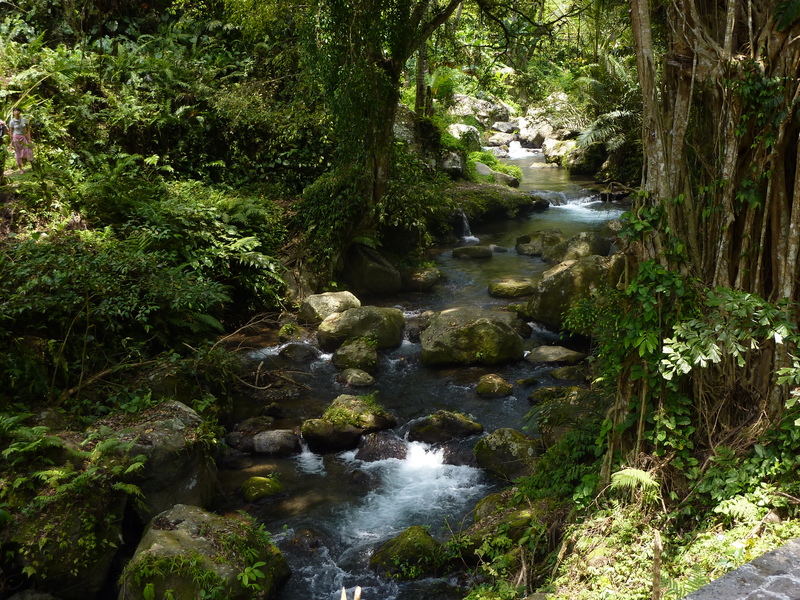 There are times when it is best to allow a moment to speak for itself; thus, I only comment briefly…please consider the following beauty and richness…. 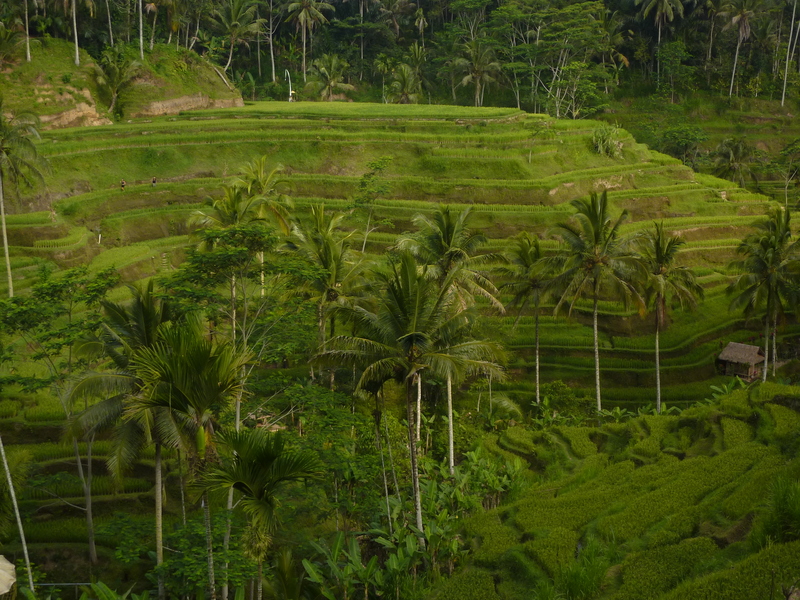 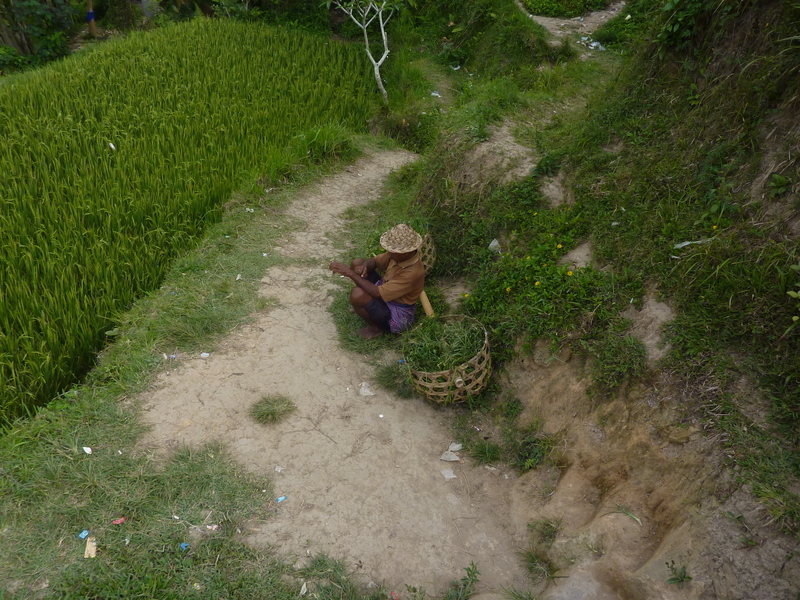 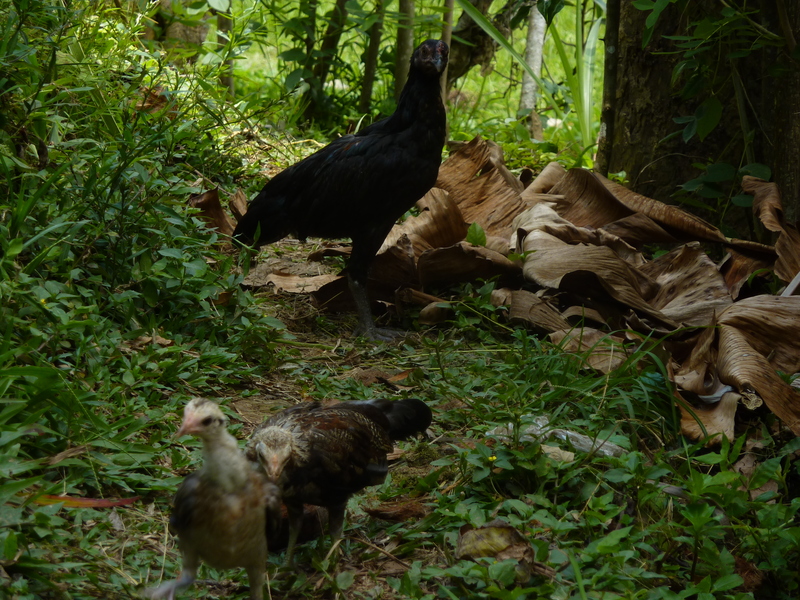 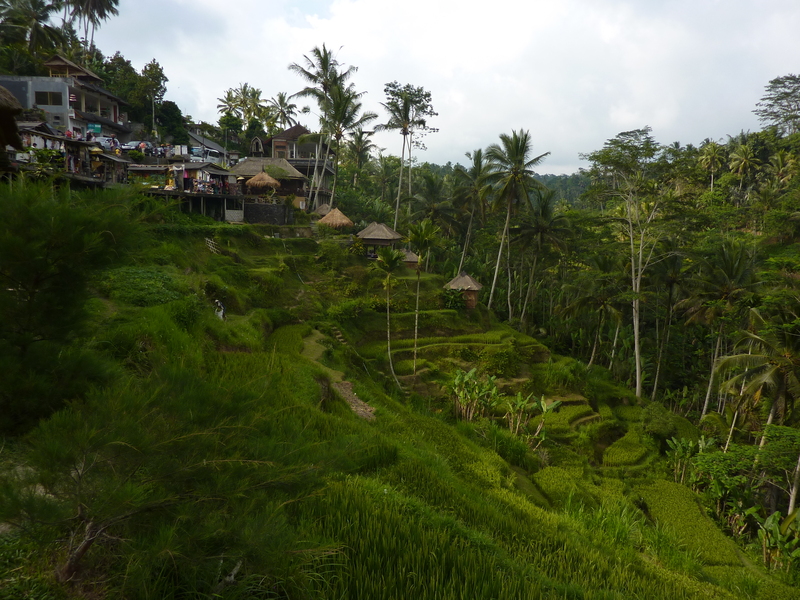 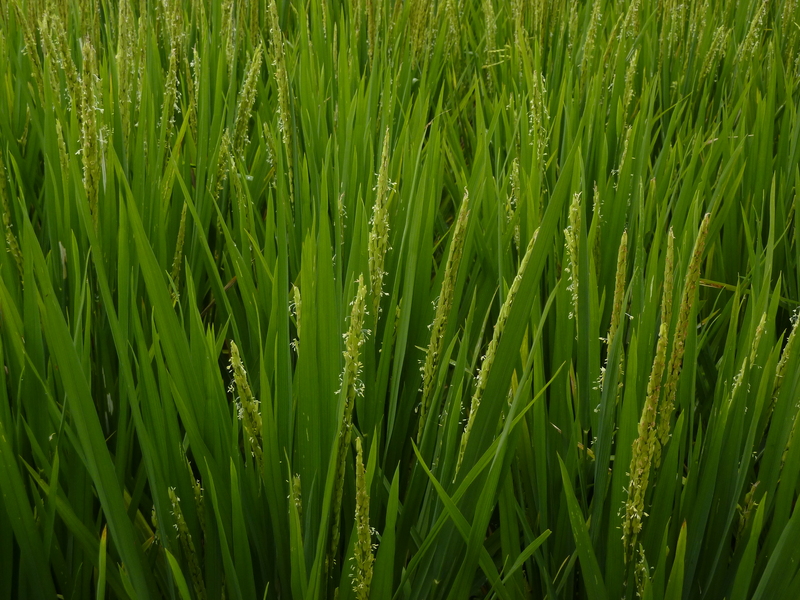 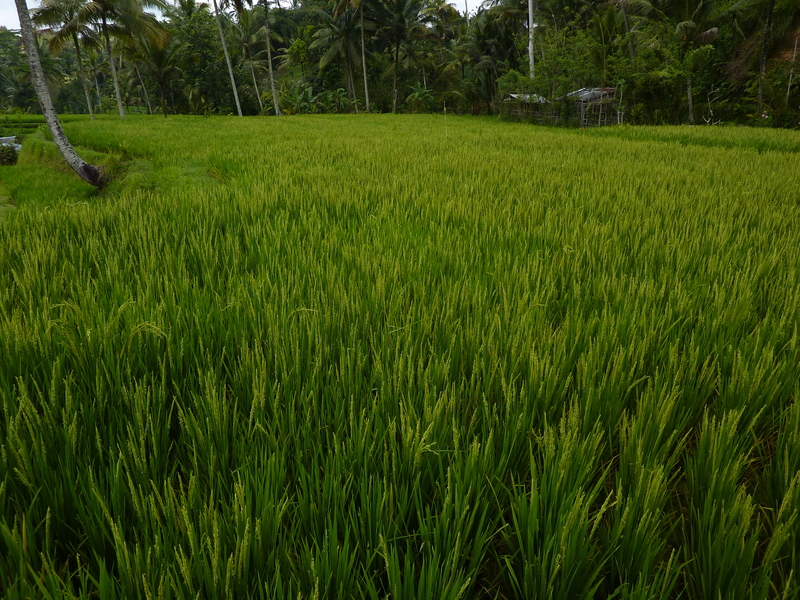 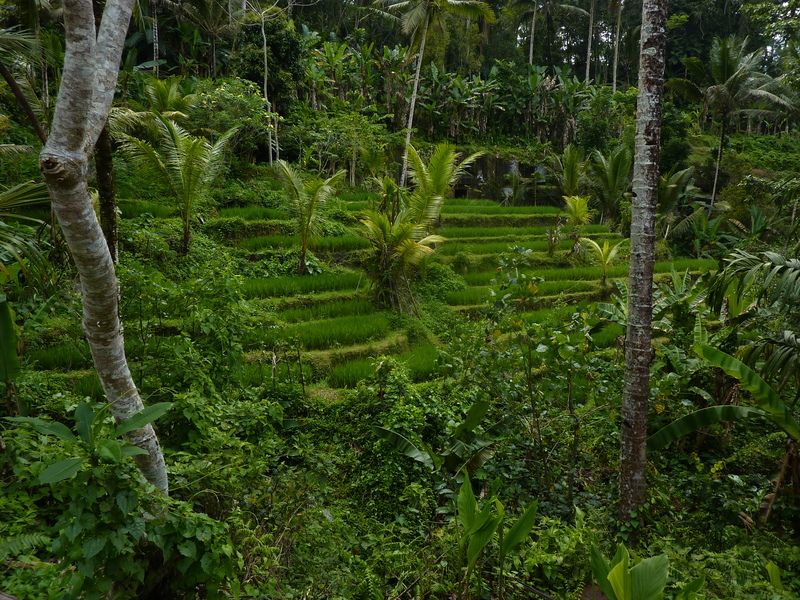 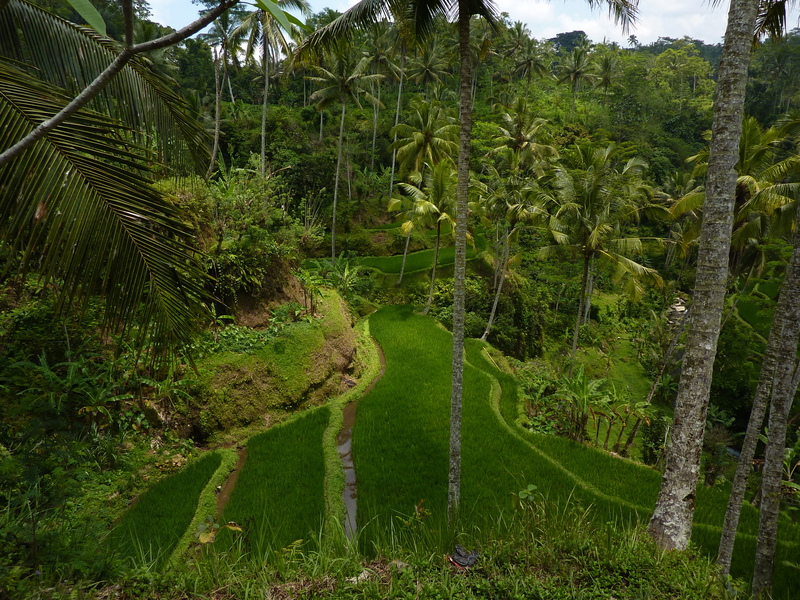 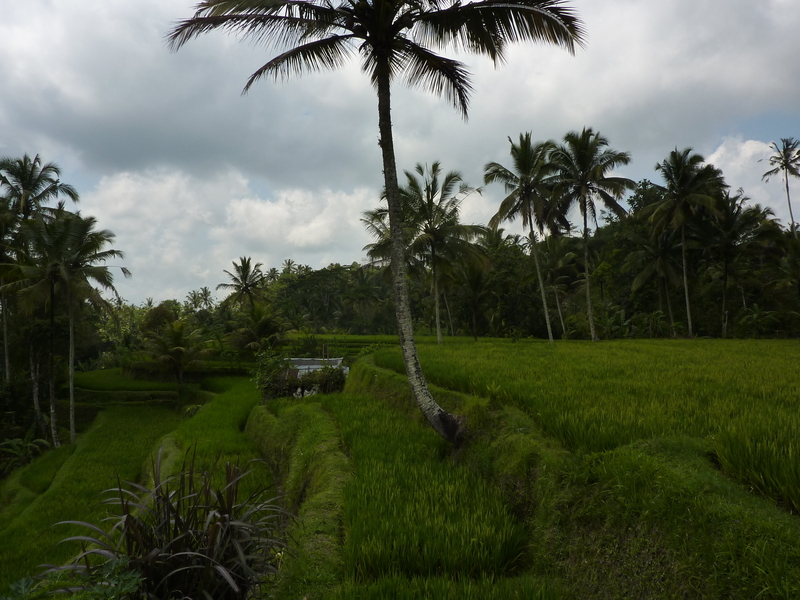 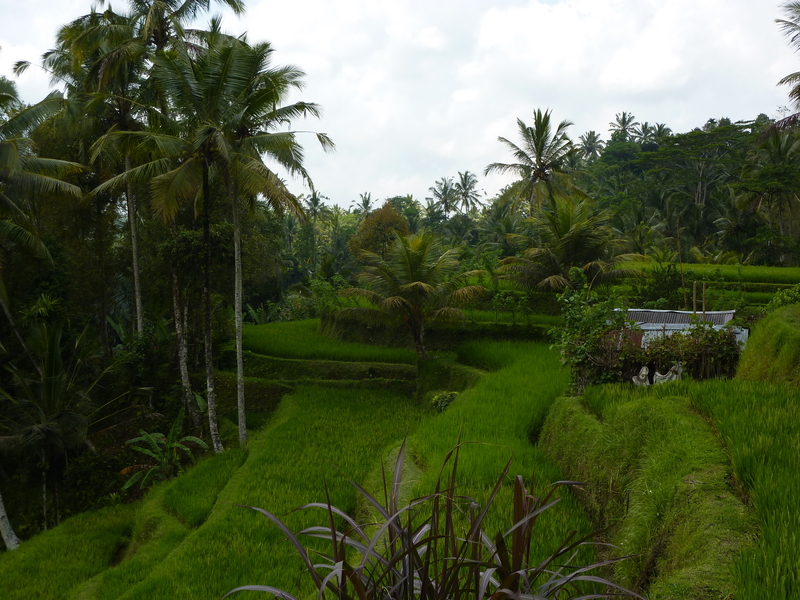 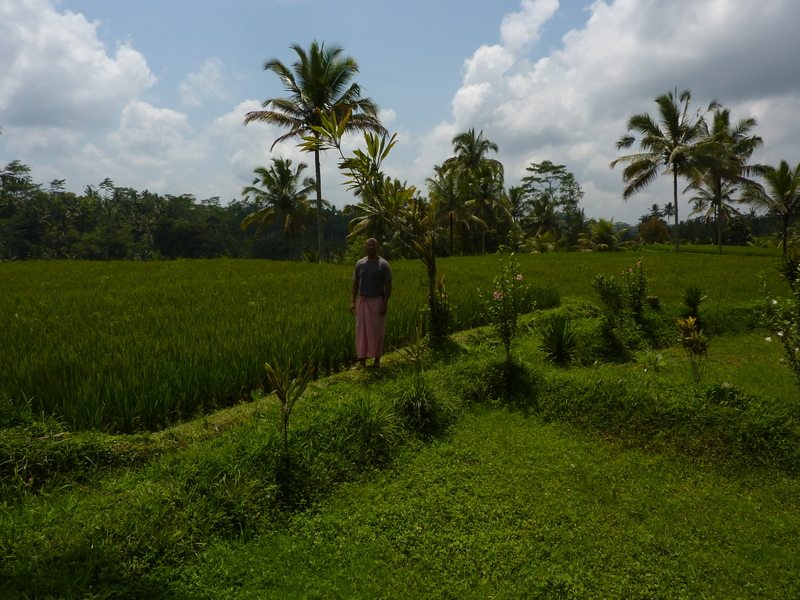 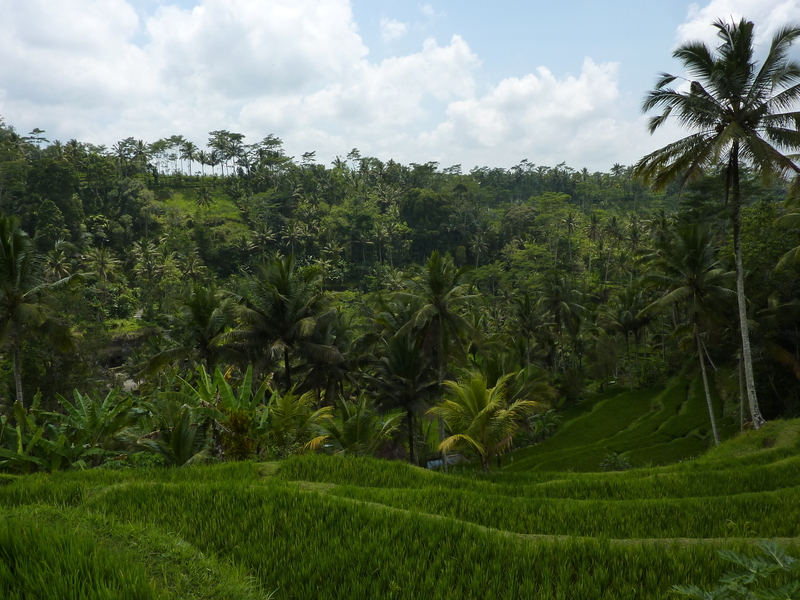 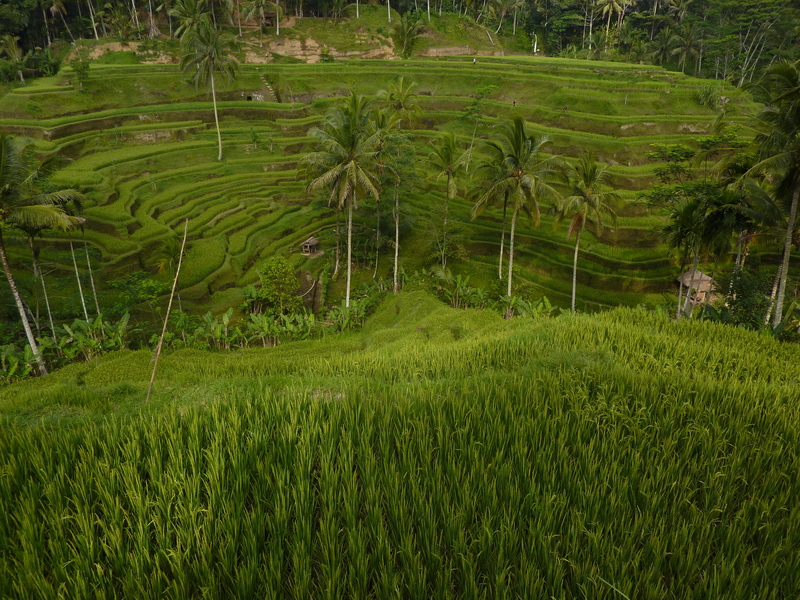 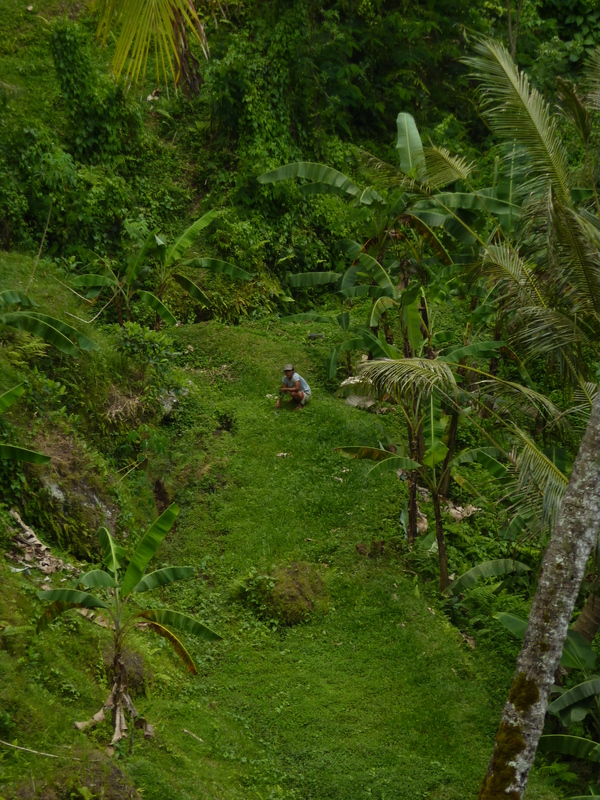 This is what rice looks like while growing…. 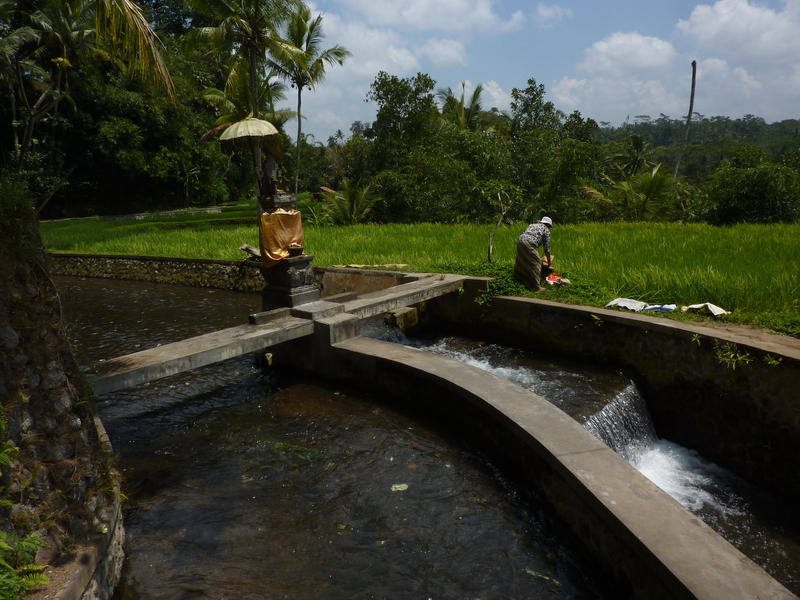 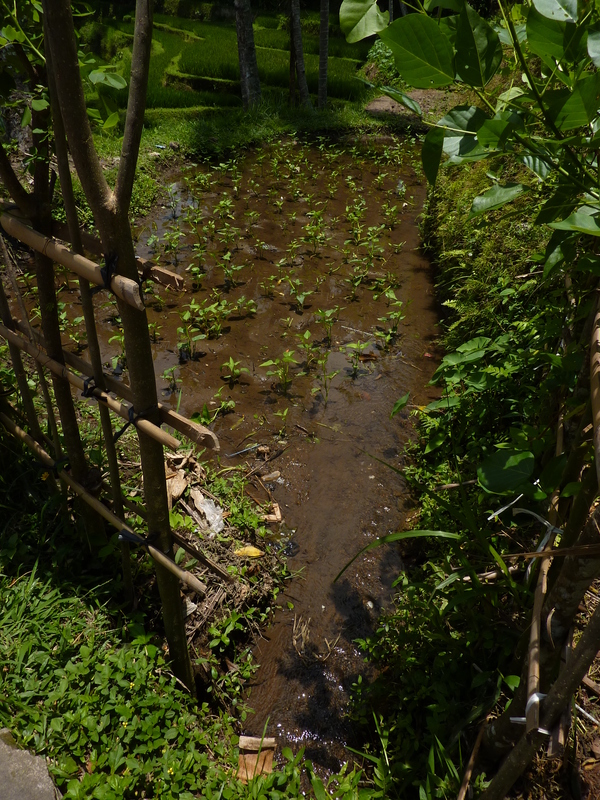 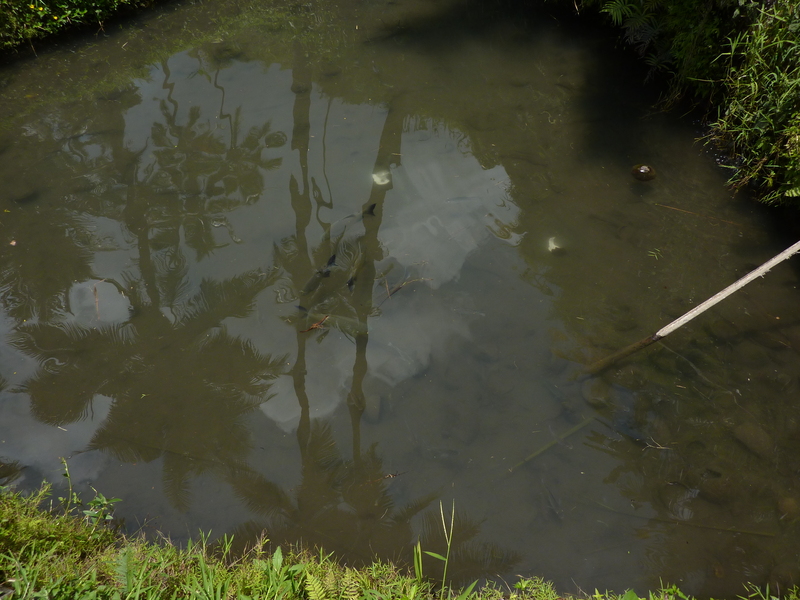 Fish swim in the same water that feeds the rice paddies…. 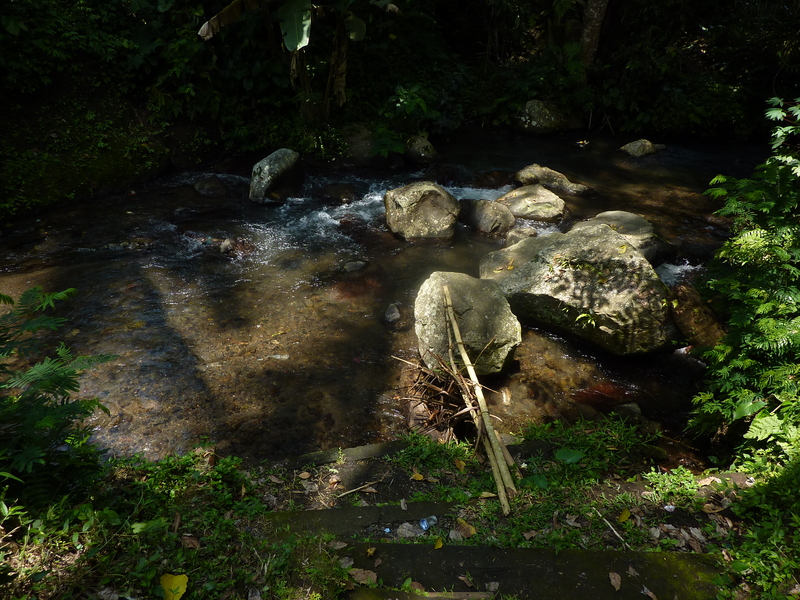 After the fairly strenuous walk to get to the temple, I paused here by this stream….a stream, by which I am sure, that many have paused and reflected. 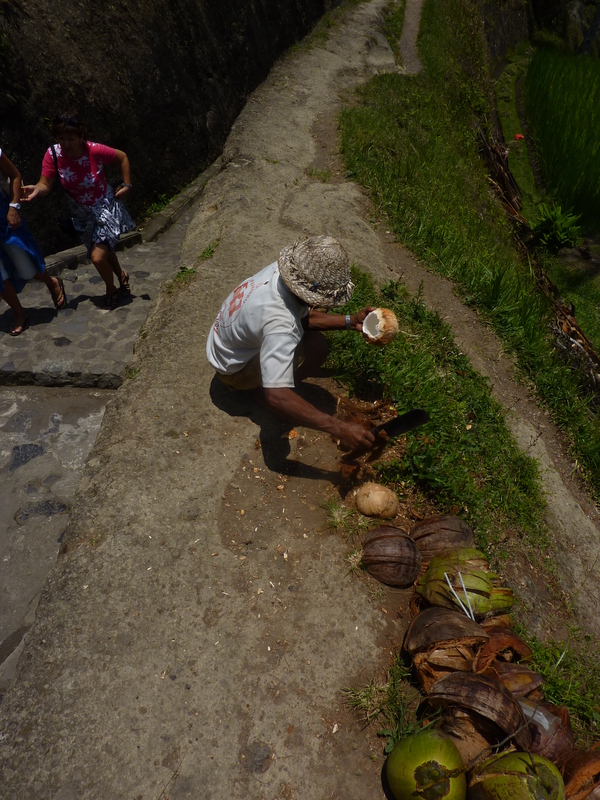 In Taking Ownership….I thought of those that have gone before us….parents, family, friends….the “Giants” in the land….not by color, race or gender…just those who have made a contribution to our living presence….tradition…where we now need to go…why we think the way we do…what information do we use to drive our thinking and make our decisions….this place has feeling…. 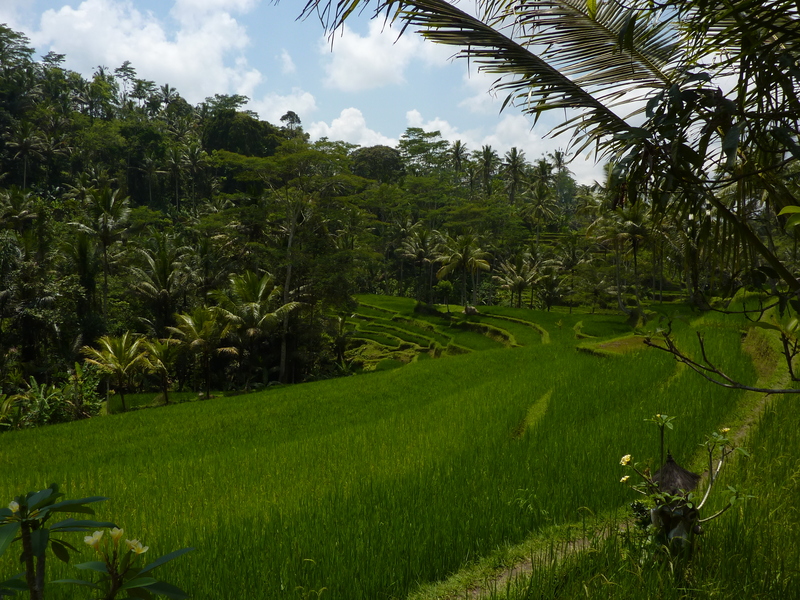 What a day….this will take a bit to process…if you went through the pictures slowly and did a bit of reflecting, I’m sure you know exactly what I mean…. 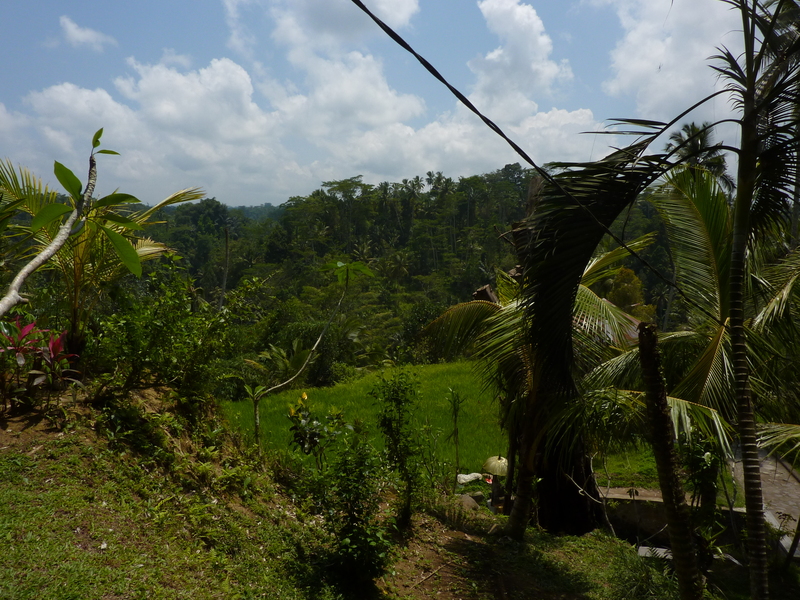 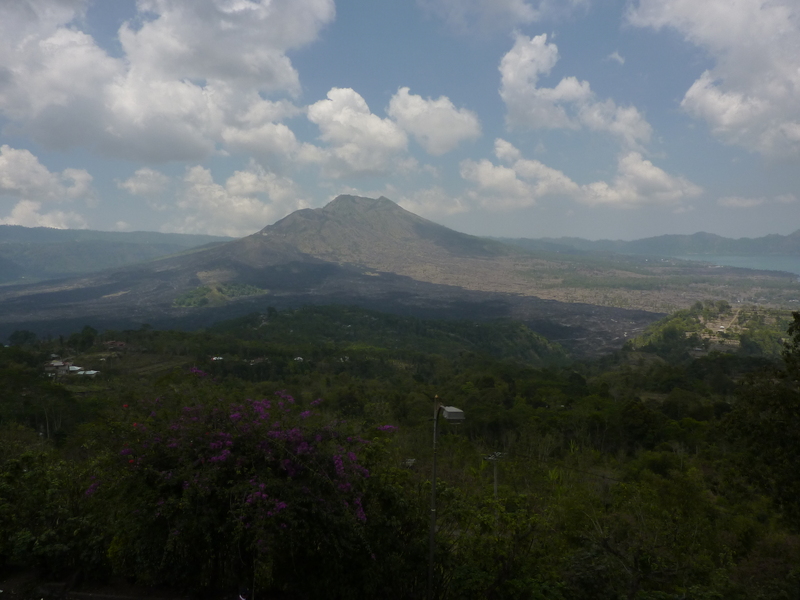 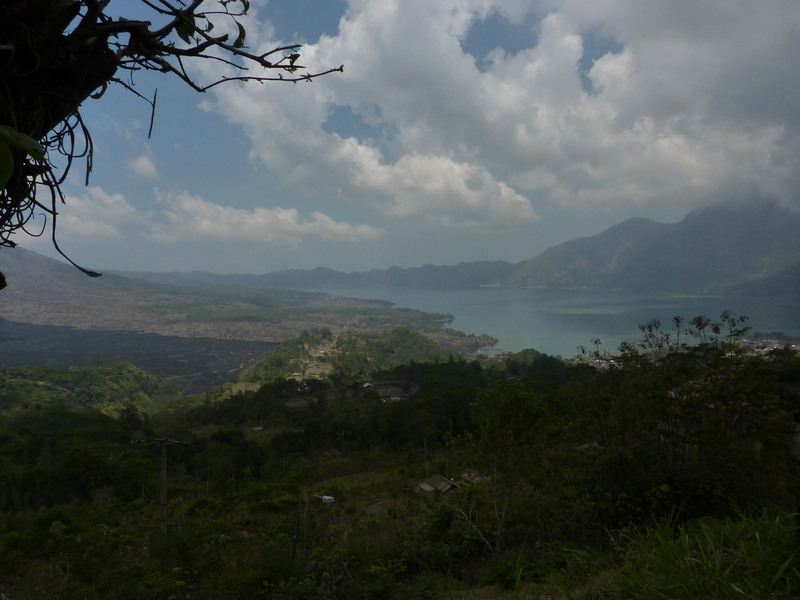 On up the mountain a bit further…. 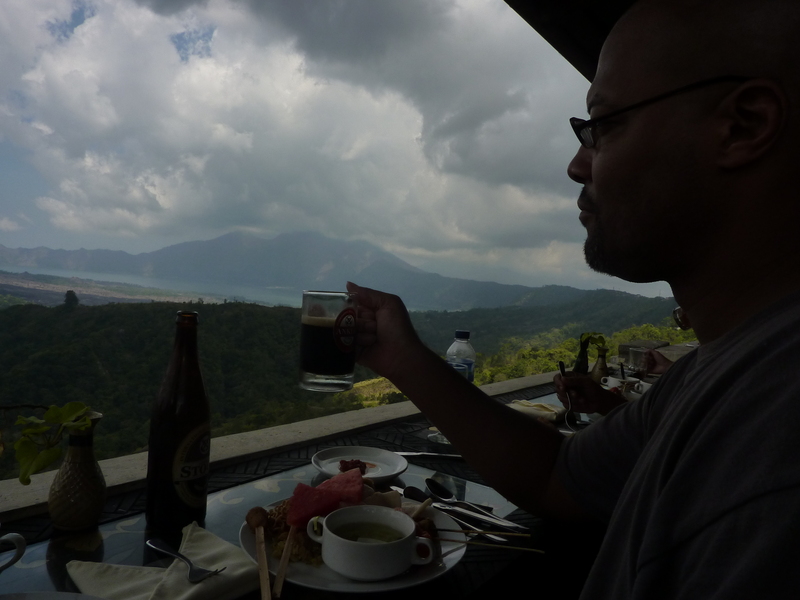 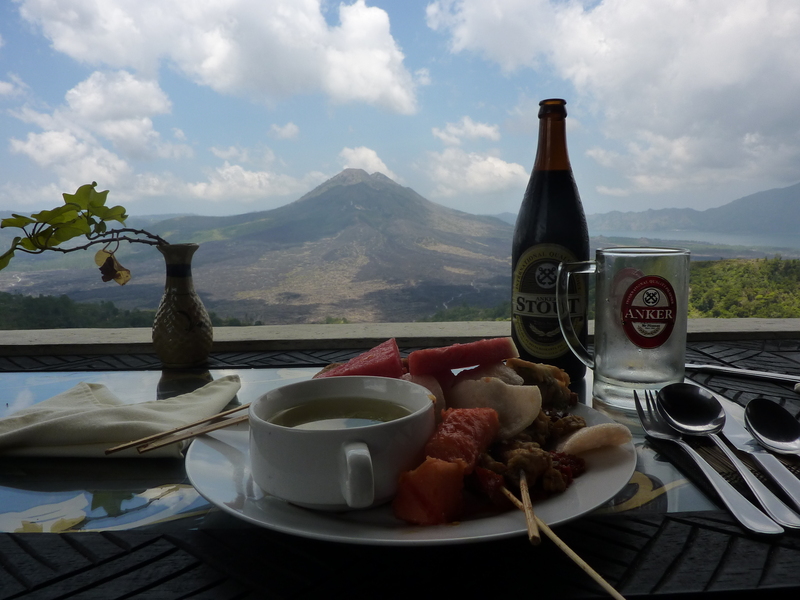 with a mountain view and no wall or glass…nothing in between me and the mountain…the mountain is the place-mat…I guess reading all those books, delayed gratification and commitment do add up to something nice…friendships in all walks of life….today is a great day…. 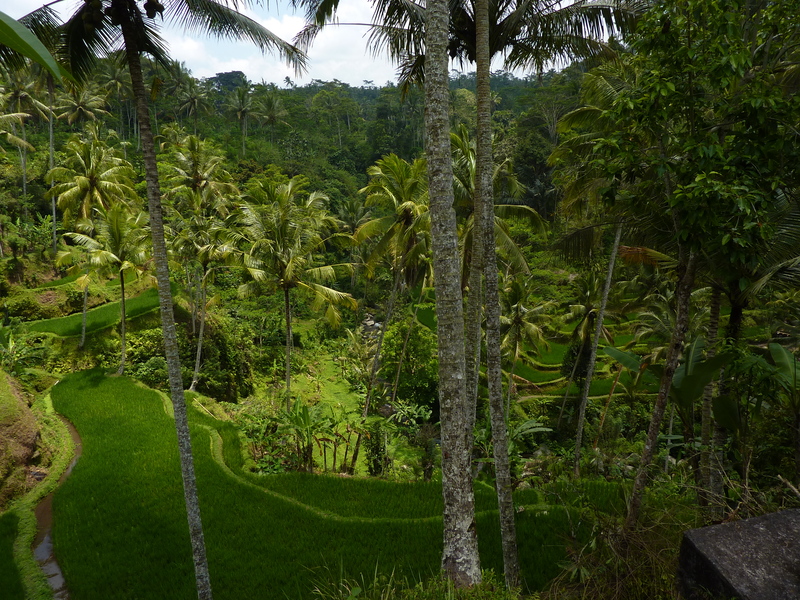 Grateful indeed….heading back to relax….